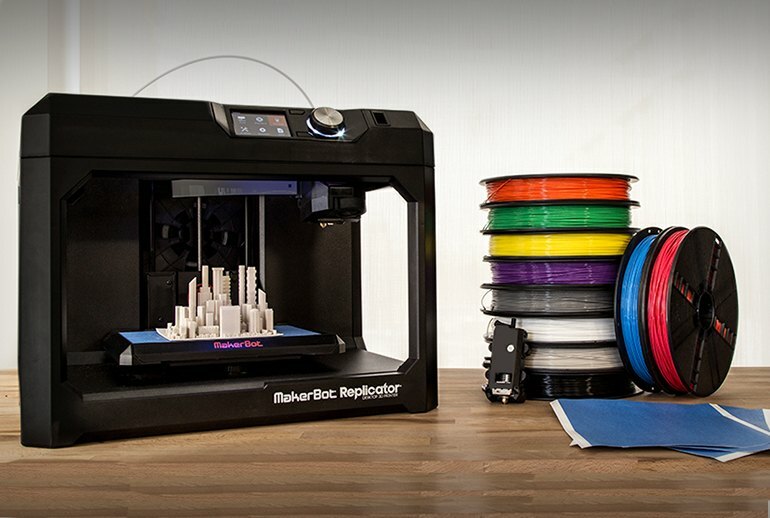 The Replicator 3D printer contains a built-in webcam to monitor and save reference pictures. You can use it with the free mobile app for remote monitoring, alerts, and notifications. The 3.5-inch color display uses a single knob to navigate the menu and select models from the MakerBot library. You can print from a USB thumb drive or connect with Ethernet or Wi-Fi. If the Smart Extruder jams, it can't be taken apart to be cleared. The locked down software system leaves little room for user personalization or modification. 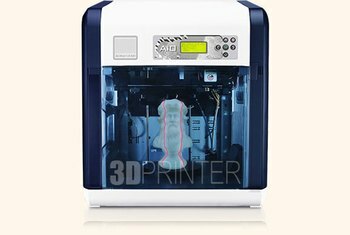 The build plate is unheated, and use of nonproprietary PLA filament voids the warranty. 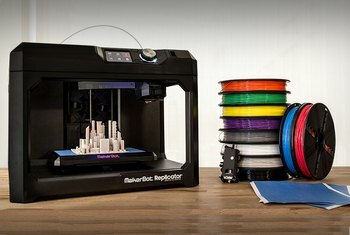 The MakerBot Replicator 5th generation 3D printer has a build volume of 9.9 by 7.8 by 5.9 inches for large models, and it connects to your network with Ethernet or Wi-Fi, or directly to your computer with USB. 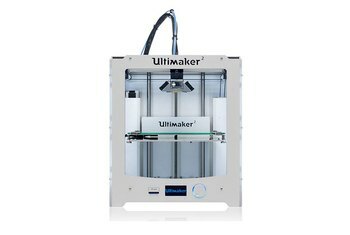 Document and monitor the progress of a model with the built-in camera and free MakerBot app, as well as receive alerts and notifications from the printer. 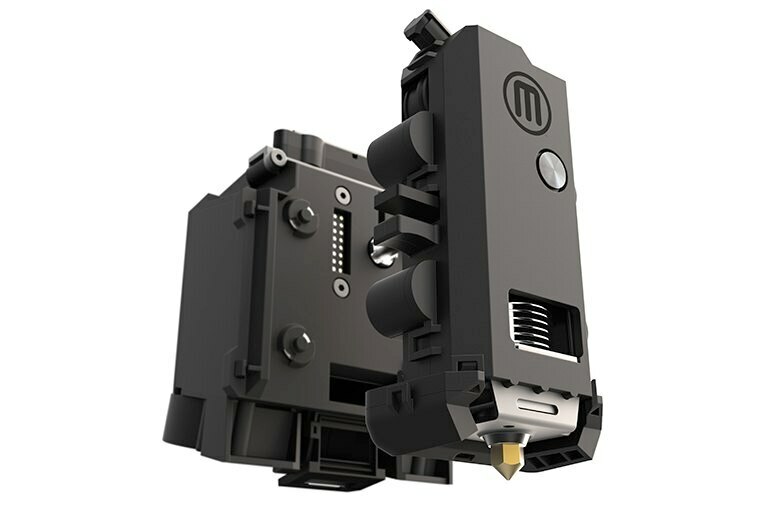 The Smart Extruder senses when the filament runs out, stops printing, notifies you and continues printing only when you replace the reel. The single knob control and 3.5-inch color LCD screen simplify the navigation of menus and model libraries. ... the immediacy that you can achieve with a MakerBot Replicator 5 when everything works well is impressive. In this particular case, I received the machine while I was right in the middle of a demonstrative event on 3D printing. We had a few machines on display, but the MakerBot was by far the first to be ready and the first to finish a print. If you are looking for a system that require little tinkering and upkeep, this could be a good one to consider. 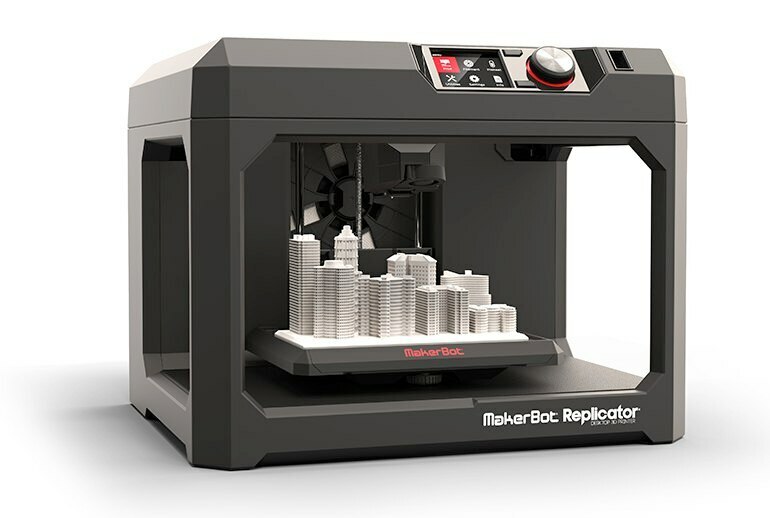 The MakerBot Replicator Desktop 3D Printer is an impressive 3D printer. It's a good choice if you're a product designer or engineer who needs to rapidly make prototypes, an architect or artist, or if you work in a shop involved in short-run manufacturing. 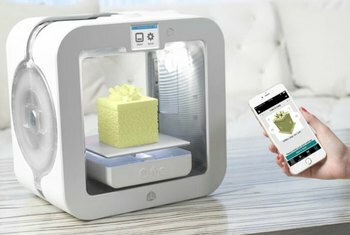 Out of all the machines tested, the fifth- generation Replicator is the closest to a networked appliance. We just wish there was more for the maker in this ‘bot. 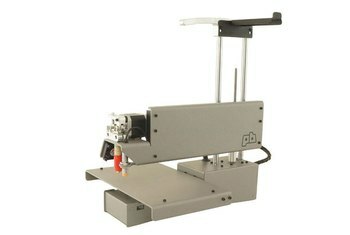 This 5th generation printer boasts of a larger printing volume, up to 9.9 in x 7.8 in x 5.9 in. 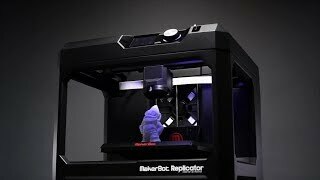 The look of a Replicator 5th Gen is minimalistic and solid. Black plastic is covering the metal components and hiding away the mechanics. Even the filament coil is hidden away inside a receptacle in the back of the machine.